Sidelined by an injury? Feel better again with the help of Balance Physical Therapy and our appointment guarantee. Ready to take the first step towards recovery? 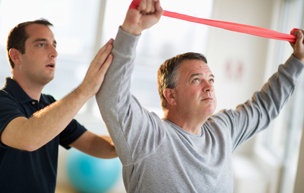 Balance Physical Therapy has experience in helping patients achieve their goals and can help you too. Don't be a stranger! Get to know everyone at Balance Physical Therapy a little better so you can feel comfortable and confident during your rehabilitation. After setting up your initial appointment, learn what you need to bring to get going. We'll answer any questions and make sure you are ready to start on your road to recovery. Copyright (2019) Balance Physical Therapy. All rights reserved.